Cat biting can be both painful and a little scary at times. Although cat bites can be a means of communication for your cat, whether to express anger or a desire to play, it’s important to teach both kittens and adult cats not to bite. First we must understand why cats bite. Kittens that are taken away from their mothers too early are not taught by their mothers that biting isn't acceptable. Cats may also bite during a petting session as a way to inform you that they are no longer interested in being petted; it's their way of saying enough. Some cats as a result of not being given an outlet for their play aggression, such as a toy, may resort to biting and scratching. Cats may also bite as a way of expressing their affection, we call it love bites or to express that they are in a playful mood. Biting is very typical between cats in a litter, as cats tend to replicate their hunting patterns in their recreation, It’s important to understand that if your cat bites you, it is not always because they are upset. Even though cat biting can sometimes be an expression of affection or playful it's still important to teach your cat not to bite for several different reasons. First, even a playful bite can hurt, second allowing your cat to bite you might teach them that biting is an acceptable way to play and communicate which will make it very difficult to stop this behavior in the future, third your cat may not only bite you but may also bite guests innocently trying to express their desire to play. Cat biting can also be due to a medical illness. 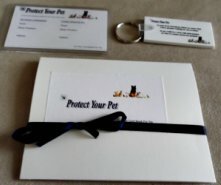 If your cat bites or scratches you every time you try to pet him/her, or your cat is consistently aggressively trying to bite you or displaying any other type of aggressive behaviours, it’s important to take your cat to the vets to make sure that the biting or aggression isn't due to an underlining illness. To find out more about different cat health illnesses that all cat owners should be aware of visit Common Cat Health Problems. The best way to stop any problem is to prevent it before it emerges. Whenever possible, kittens should be kept with their mothers for the first three months. When kittens scratch or bite their mothers or siblings, their mother will often show the kitten that this behaviour is not acceptable by hissing loudly at the kitten or by holding him/her down by the neck with her mouth. Never use your hand or fingers as a toy for kittens, although kittens love to play with hands, as they become adults they will continue to think that human hands and feet are toys and may continue to bite at them even when you want to stop that behavior. As mentioned, cats sometimes bite as a result of overstimulation from pet owners. While being pet, your cat will often quickly reach its limit of desired stroking. This means that your cat might enjoy being pet for nine minutes but be sick of it by the tenth. Luckily cats are very expressive of their emotions, look for a waving tail or flattening ears, as these are common indications that your cat is irritated, annoyed or tired of being petted. It’s important to break petting sessions up into short intervals, instead of extended ones and to be very observation of your cat’s reaction meanwhile your petting him/her. 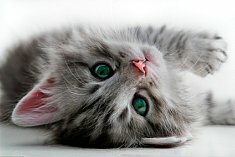 This being said, each cat is unique and each cat has subtle forms of expressing their displeasure, you may already understand your cat's body language or will with time. Cat biting can also result from pent up energy and no appropriate outlet. A cats without cat toys have nothing else to play with but your hands or feet. 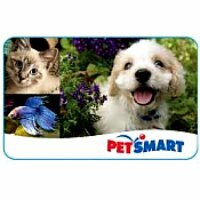 There are hundreds of great cat toys online or at your local pet store that can be used for your cat’s entertainment. If your cat continues to bite you after you introduce a new toy, show your cat how to play with the new toy by actually demonstrating what they can do with it (don’t feel silly if you’re on your knees swiping). Cats are extremely intelligent and will soon figure out their new toy. Be prepared to go through a few different toys as you determine what your cat likes or you can make some fun homemade toys. Here are some easy to make homemade cat toys. When your cat bites you, in a firm tone tell them “No." Don't yell at your cat, simply state no firmly and walk away, yelling at your cat only results in a fearful cat and doesn't teach him/ her to stop the negative behavior. 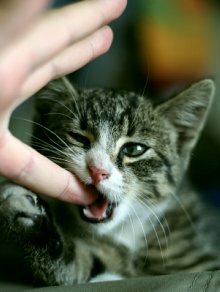 Cat biting can be difficult to handle, but with some time, patience and consistency you can stop your cat's bites. Cats Fighting: Causes And How To Prevent It - Cats fight for several different reasons, here we discuss the reasons and how to prevent cats fighting in your home. Feeling Frustrated Over Your Cat's Behavior Problems? Whether your cat's biting, scratches the furniture,or sprays urine all over your home, here's an excellent easy to follow guide that will help you stop your cat's negative behavior in two weeks......Guaranteed!